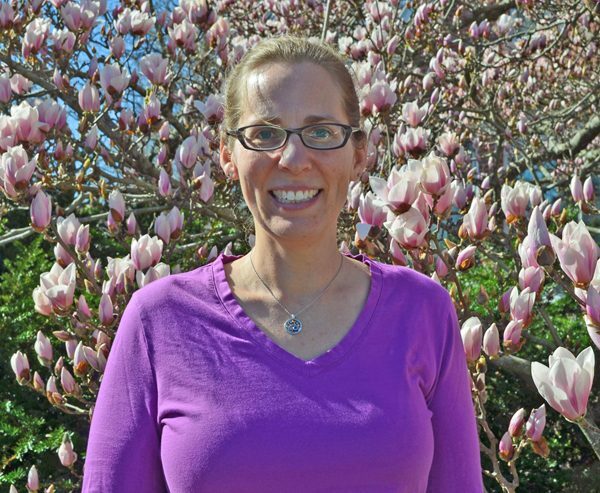 Lewis Ginter Botanical Garden has announced Elizabeth Fogel is the inaugural recipient of its Frank L. Robinson Endowed Chair in Horticulture. Fogel has been with the Garden for 10 years and is a senior horticulturist. The Frank L. Robinson Endowed Chair in Horticulture was created by Lewis Ginter Botanical Garden’s board of directors in 2015. The award honors the Garden’s President Emeritus Frank Robinson, who retired in 2015 after 23 years of leadership at the Garden. The Endowed Chair offers enhanced compensation, professional development opportunities, and position support to a well-deserving and selected staff member from the Garden’s horticultural and educational departments. The recipient is chosen for a two-year term through an application and interview process. In presentations, applicants briefly summarized professional backgrounds, expanded on proposed use of the Endowed Chair’s resources for travel and training, and explained how their proposal would support the horticultural aspirations and objectives of the Garden’s current strategic plan and the individual’s own professional development. Fogel’s project begins April 1. She will work to incorporate current theories of ecological landscaping and designed plant communities into the Garden. Her plan also includes enhancing the Garden’s informal education offerings to help visitors interpret landscapes and to inspire best practices in home gardens. As senior horticulturist and team signage coordinator, Fogel is uniquely positioned to fulfill the horticultural and educational aspects of the project. Fogel’s background includes a Bachelor of Science in biology from the University of North Carolina at Chapel Hill and a Master’s of Science in horticulture from Virginia Tech. She also served as a Peace Corps volunteer in Senegal for two years and worked at the U.S. National Arboretum.